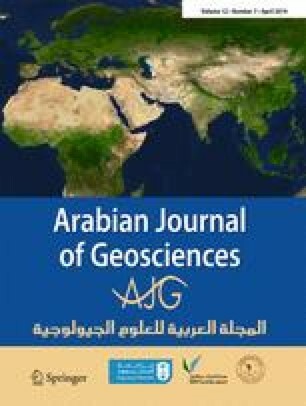 The new dasycladalean alga Dissocladella compressa is described from the lower part of the Tarbur Formation of SW Iran (Zagros Zone). The medium-sized representative of the genus is characterized by rather large primaries displaying slight vertical compression. It occurs in a foraminiferan-algal packstone associated with larger benthic foraminifera typically Omphalocyclus macroporus Lamarck, Loftusia sp., Siderolites cf. calcitrapoides Lamarck, and scattered corals. Associated algae include Trinocladus tripolitanus Raineri, Thyrsoporella longa Radoičić, Ovulites delicatula Elliott, accessory udoteaceans, and corallinaceans. The helpful comments provided by two anonymous reviewers are kindly acknowledged.